Legal alerts allow you to stay up to date in your area of interest, notifying you of new books, journal articles, and judgments, legislative developments, and changes to resources. They also provide handy summaries of changes. Jade^ – create account – go to ‘My Jade’ then ‘Digests’ – select RSS, or ‘My Jade’ – ‘Alerts’. AGIS Plus Text* - search on topic – select ‘Set email alert for this search’. Lexis Nexis Content Notifier – this alert is free but charges apply to access full-text content. Westlaw AU* - create a OnePass account to set up alerts in Westlaw. Victorian Government Reports – ‘Publications’ RSS. Australian Institute of Criminology – select ‘Subscribe’ at the bottom of the homepage; select the Crime and Justice alerts box. Sentencing Advisory Council – Go to ‘Contact us’, select ‘Feedback and general enquiries’, request to be added to the mailing list. Trove - search on topic, e.g. judicial stress and wellbeing - scroll to bottom of results and click ‘Subscribe to this web feed. Legal publishers, e.g. Federation Press, select ‘Newsletter Subscriptions’ - new title alert. Capital Monitor* - requires an individual login. Google Alerts (requires Gmail). Tips for creating effective Google Alerts. Wolters Kluwer blog – choose from employment, legal, tax or accounting blogs. * Charges apply. 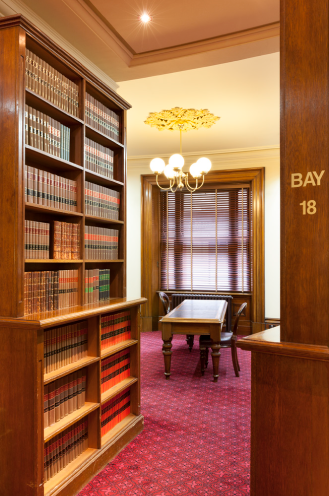 Judicial officers and court staff who require assistance should contact their court librarian.